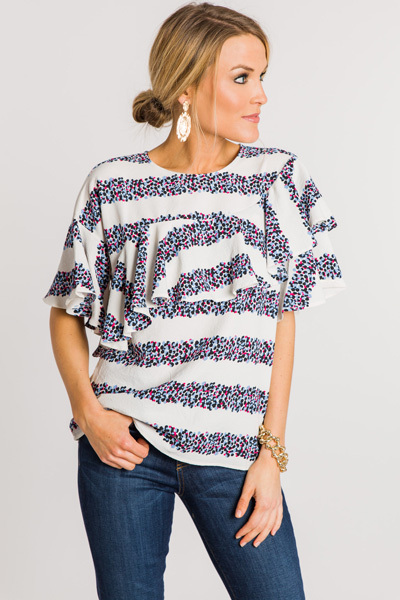 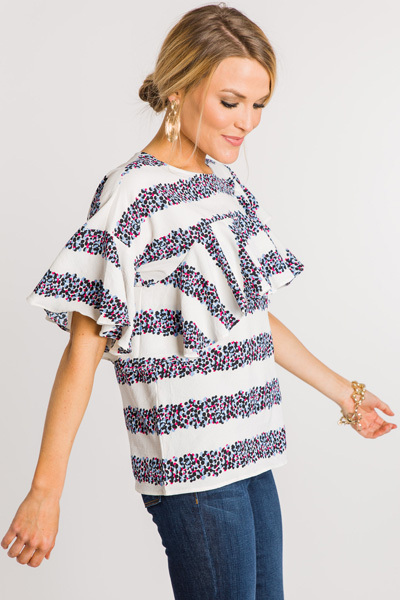 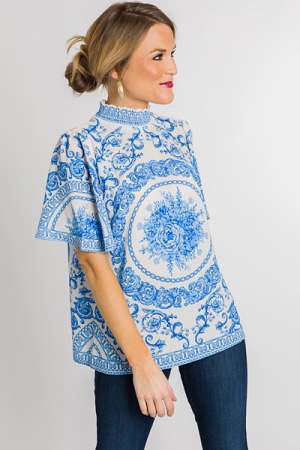 There are few things we love more than a ruffled up top, so naturally this one is a must have! 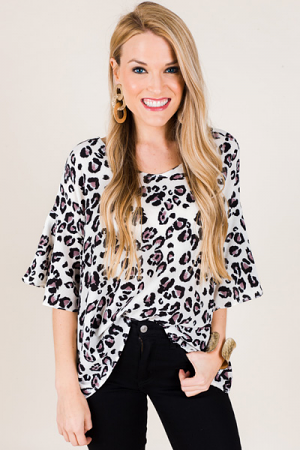 Crepe texture with oversized sleeves and a springy speckled print. 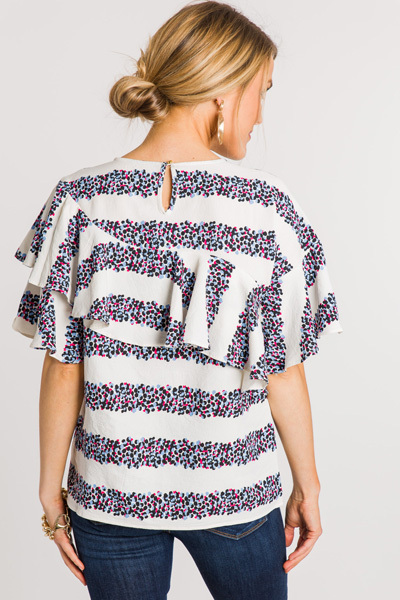 Button closure in back.